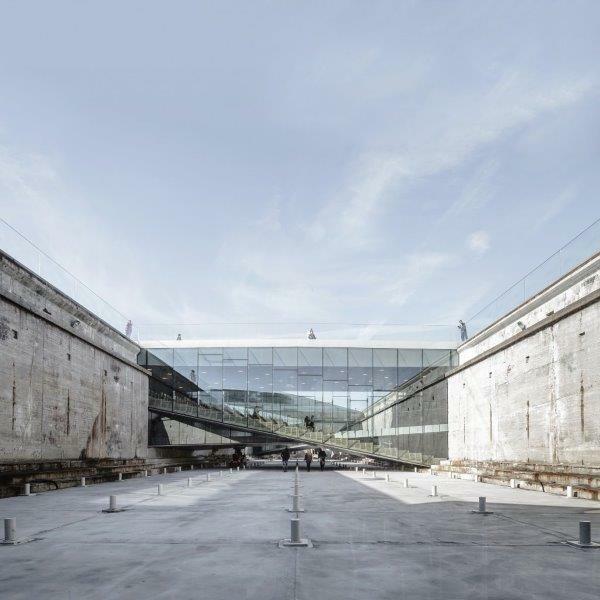 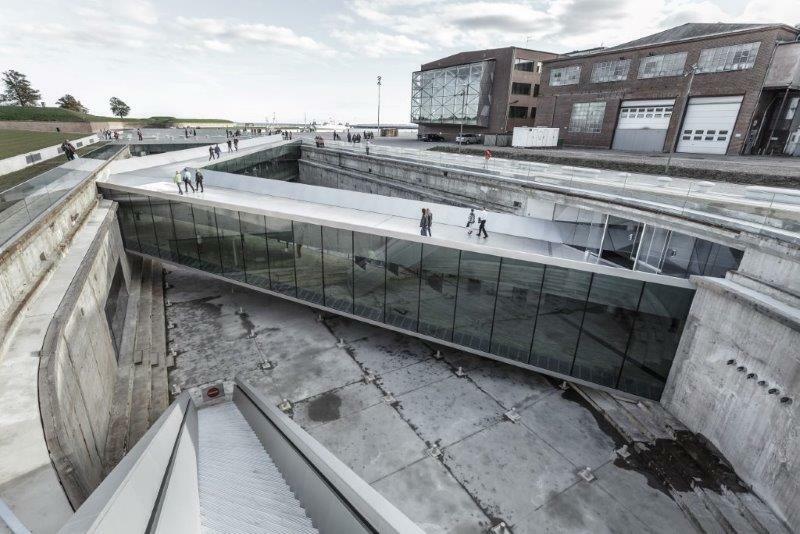 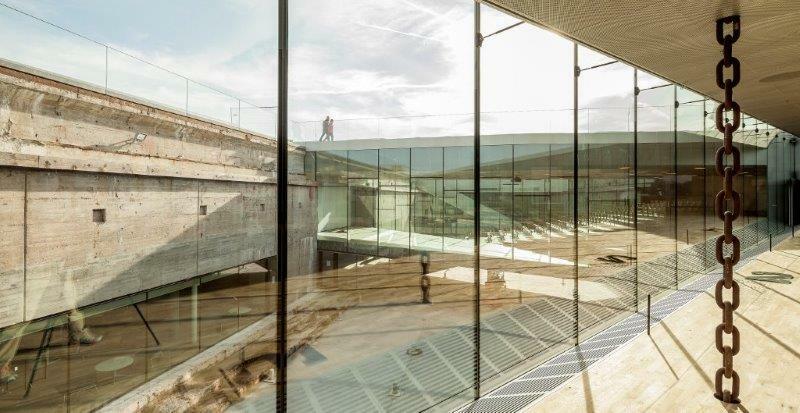 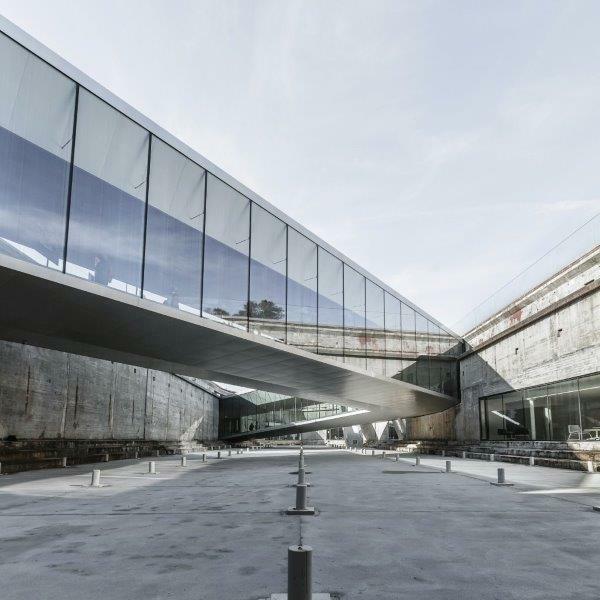 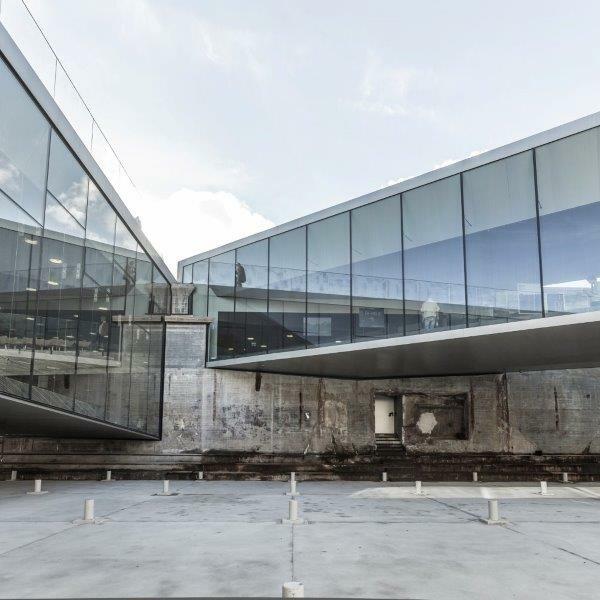 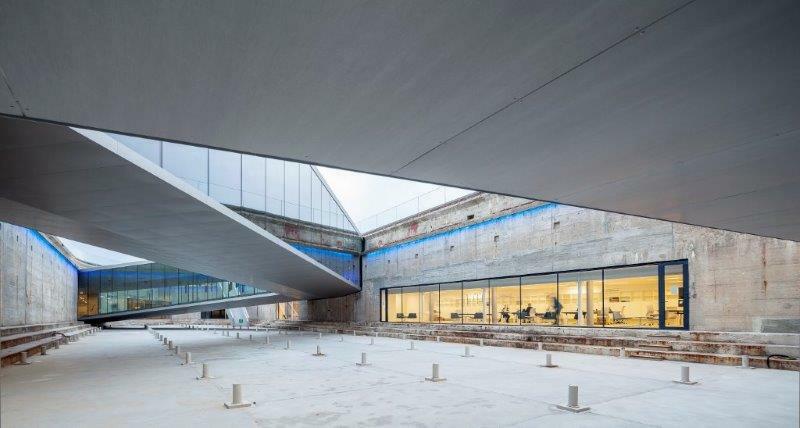 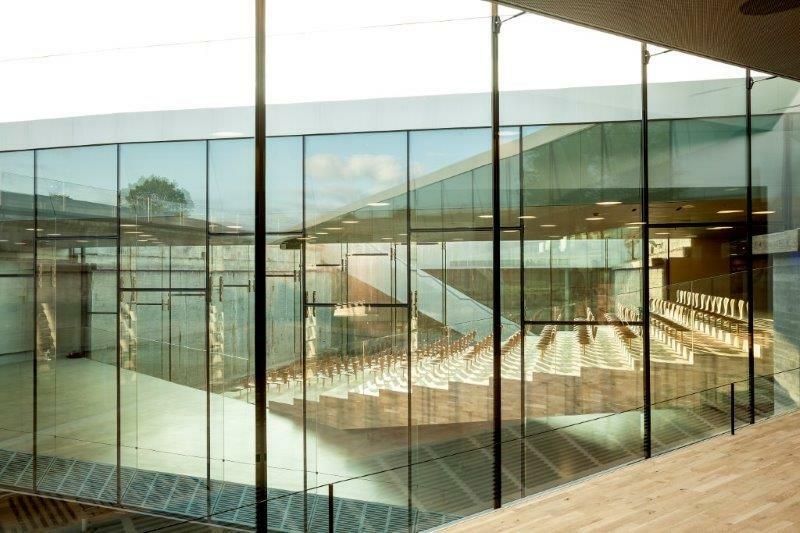 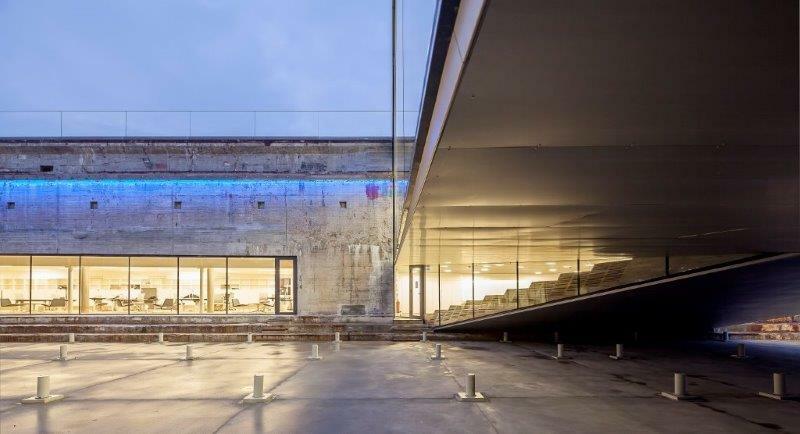 BIG with Kossmann.dejong+Rambøll+Freddy Madsen+KiBiSi have completed the Danish National Maritime Museum in Helsingør. 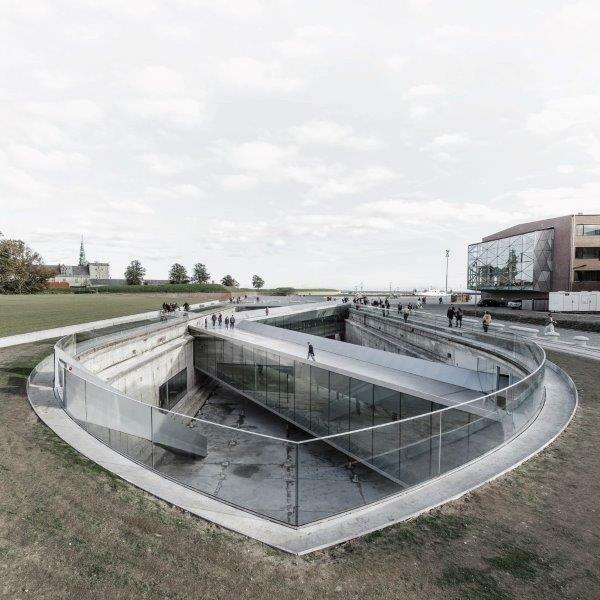 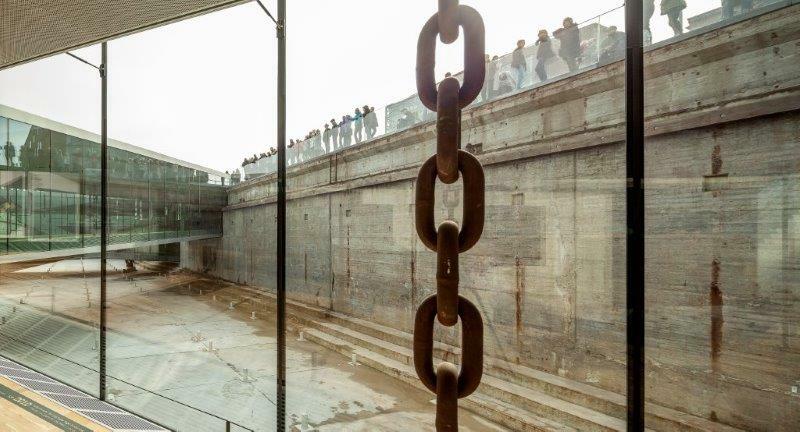 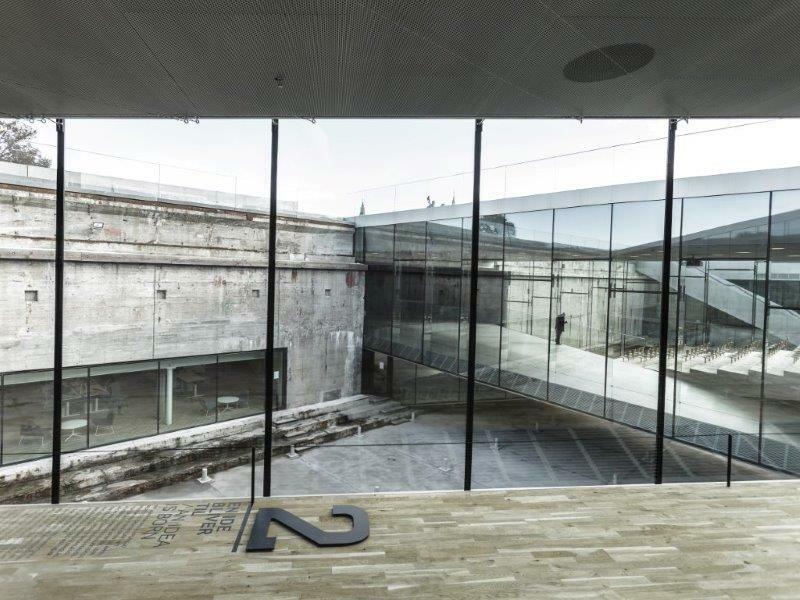 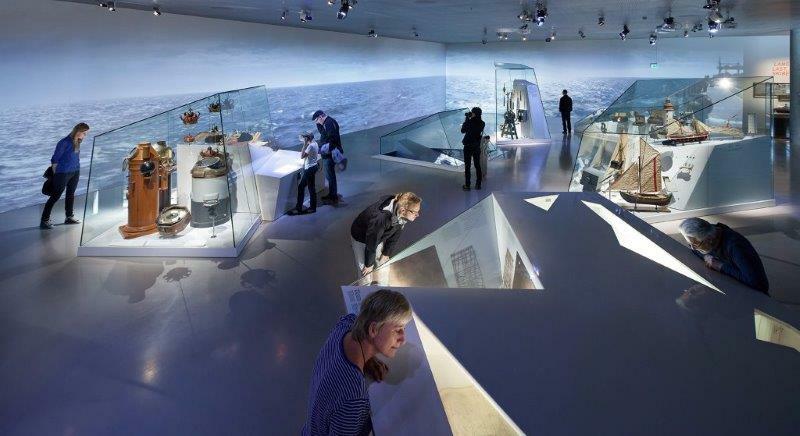 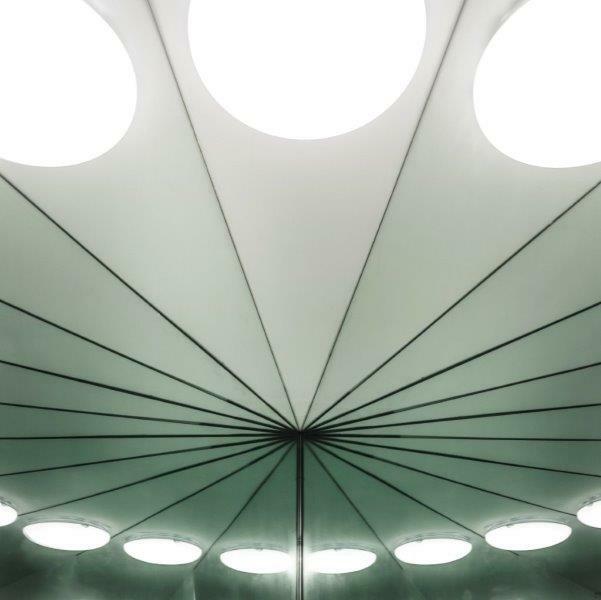 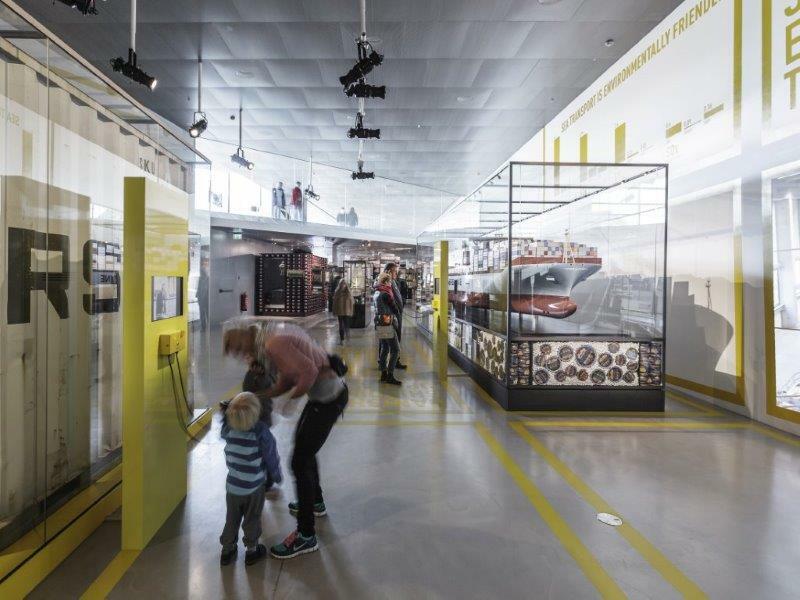 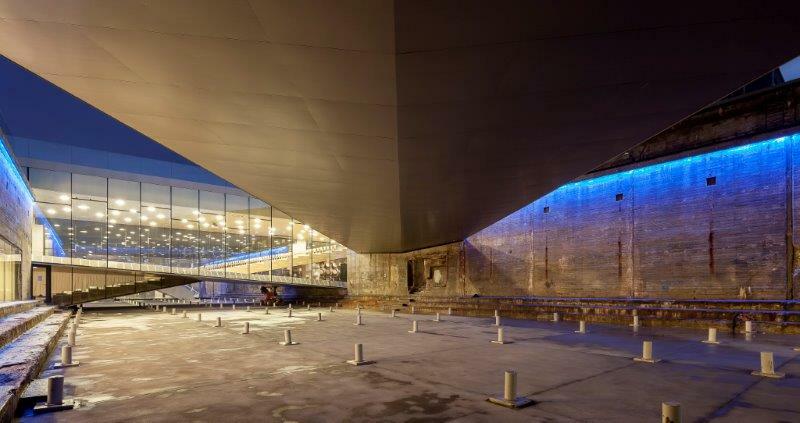 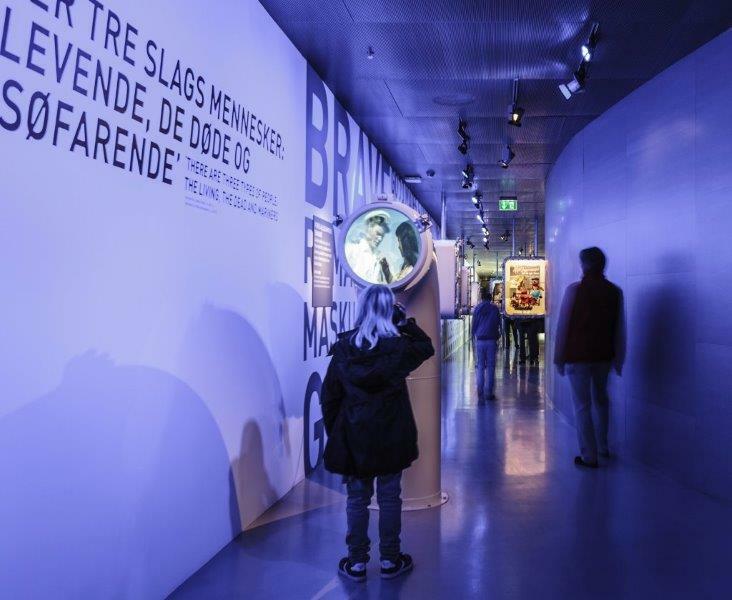 By marrying the crucial historic elements with an innovative concept of galleries and way-finding, BIG’s renovation scheme reflects Denmark’s historical and contemporary role as one of the world’s leading maritime nations. 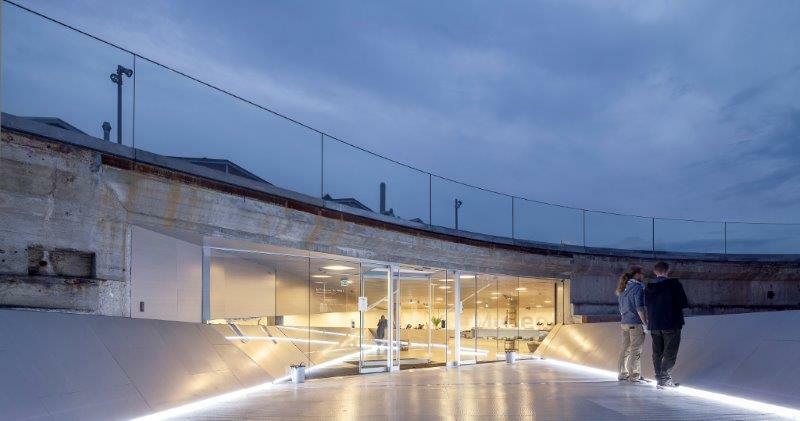 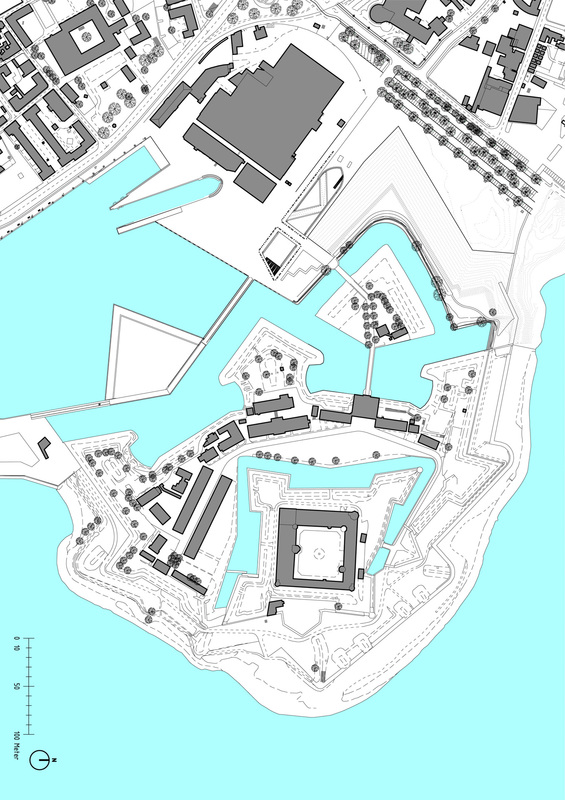 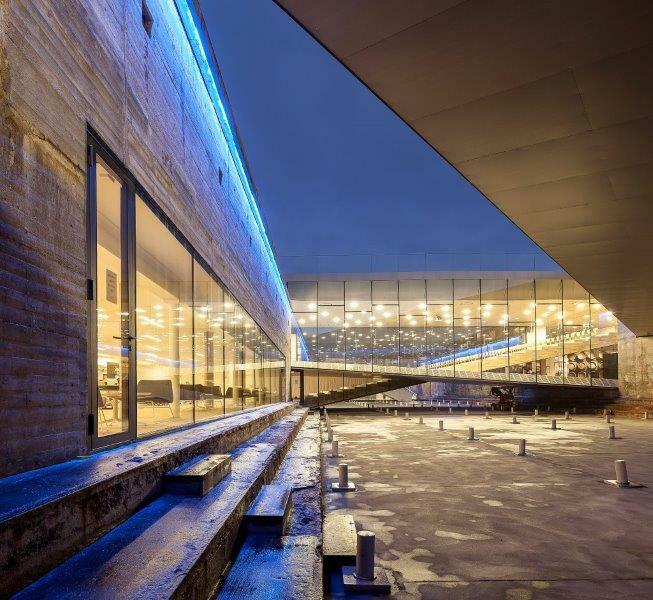 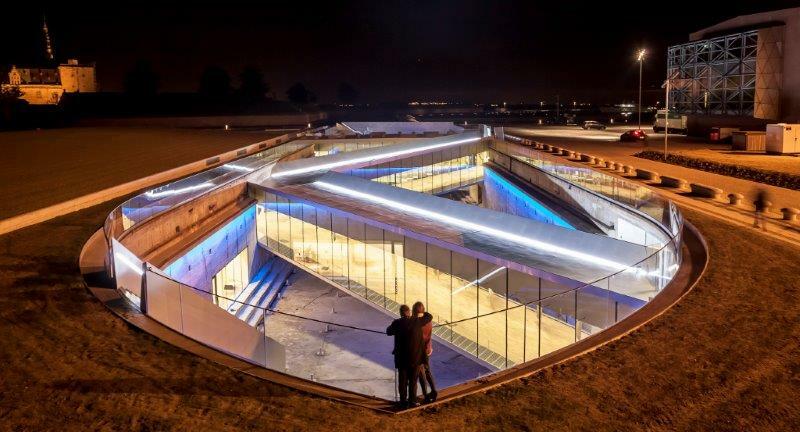 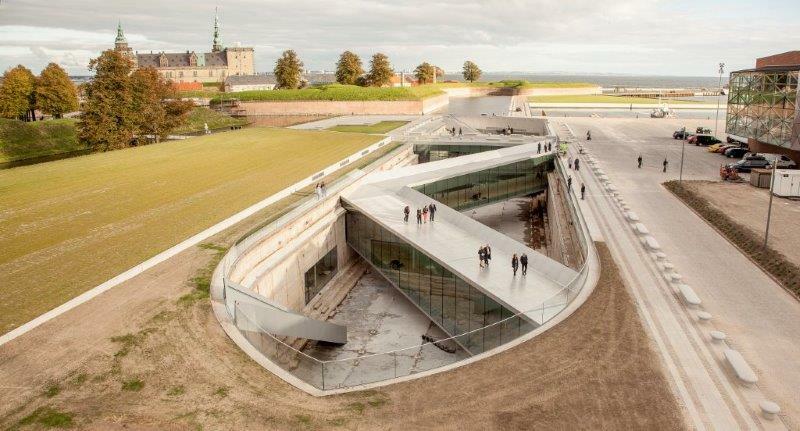 The new Danish National Maritime Museum is located in Helsingør, just 50 km (30 mi.) 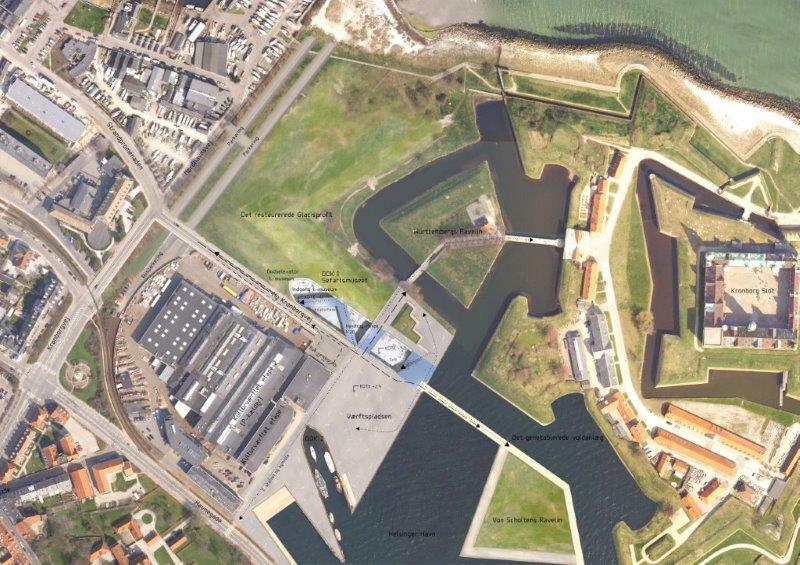 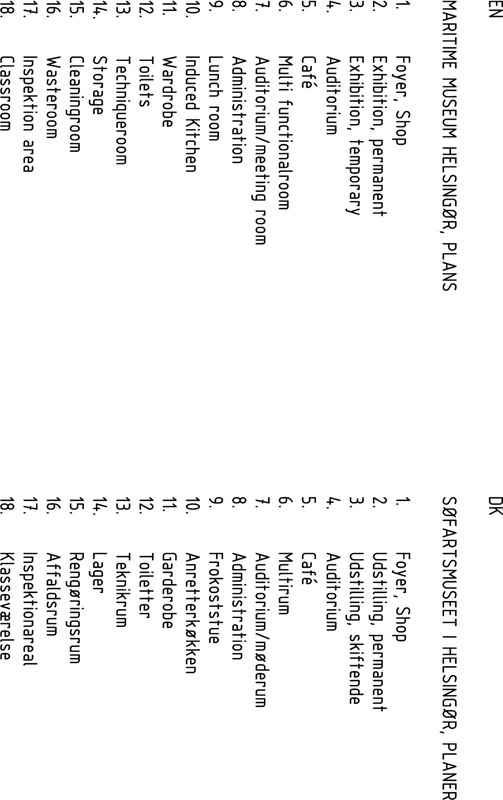 north of Copenhagen and 10 km (6.5 mi.) 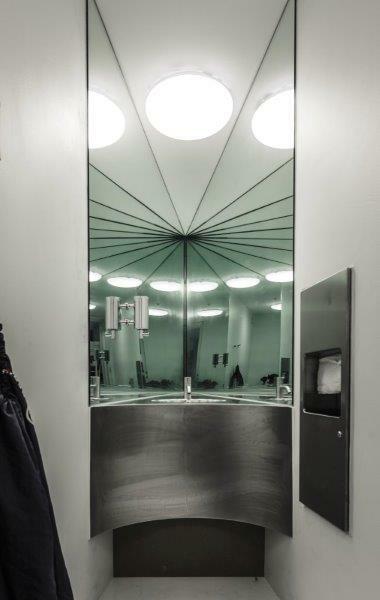 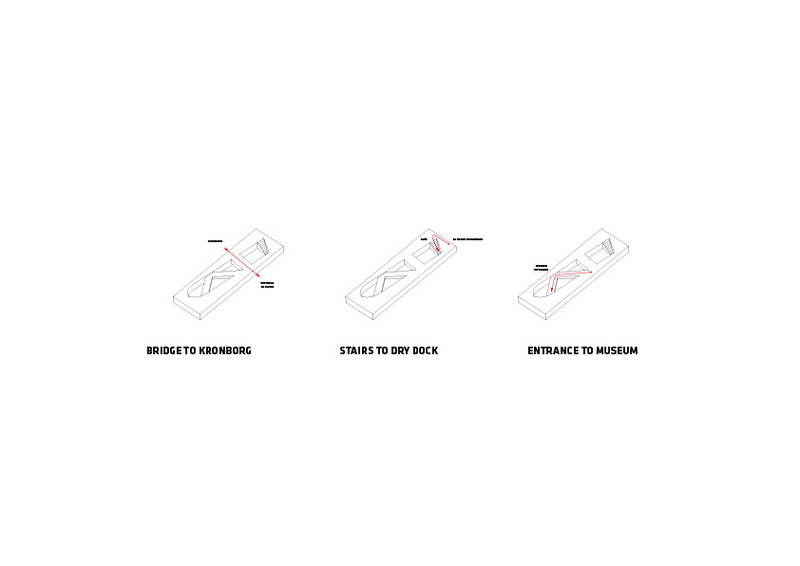 from the world famous Louisiana Museum for Modern Art. 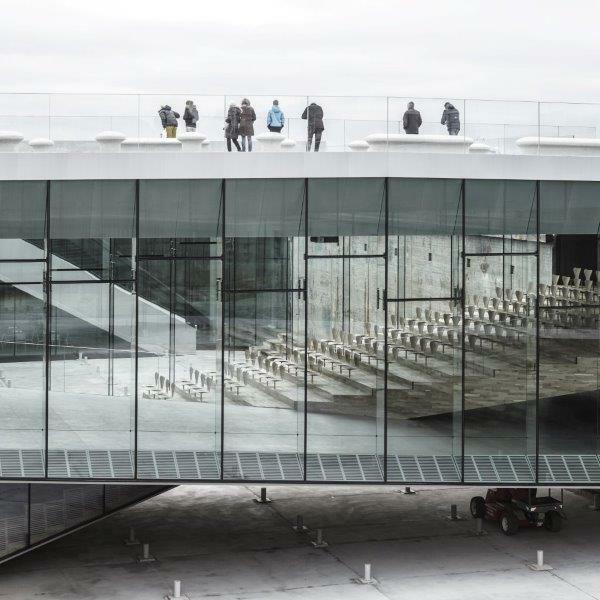 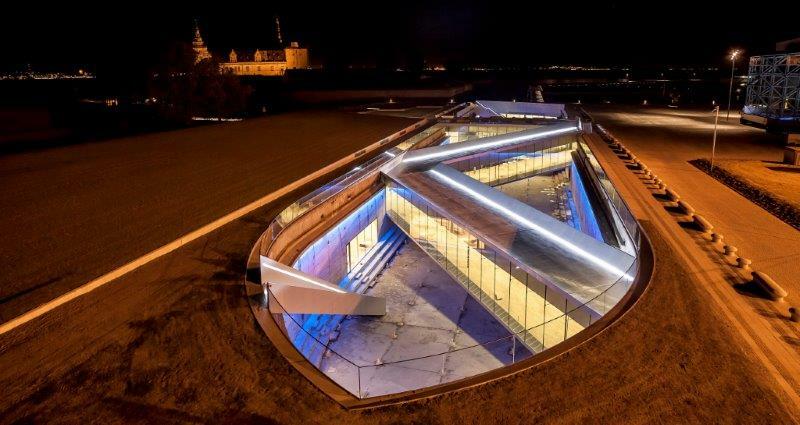 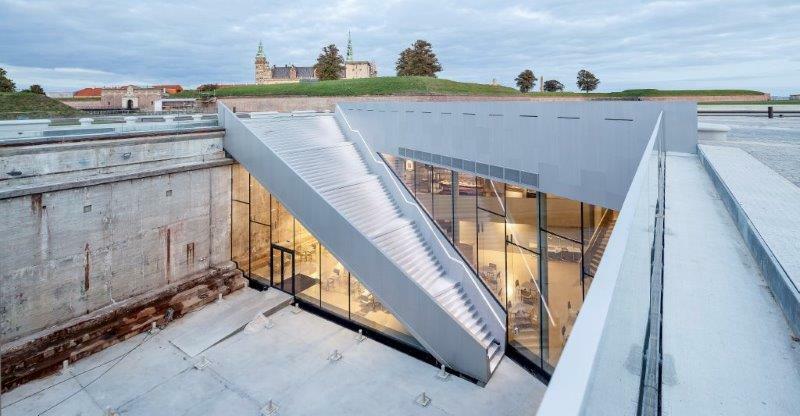 The new 6,000 m² (65,000 ft²) museum finds itself in a unique historical context adjacent to one of Denmark’s most important buildings, Kronborg Castle, a UNESCO World Heritage site – known from Shakespeare’s Hamlet. 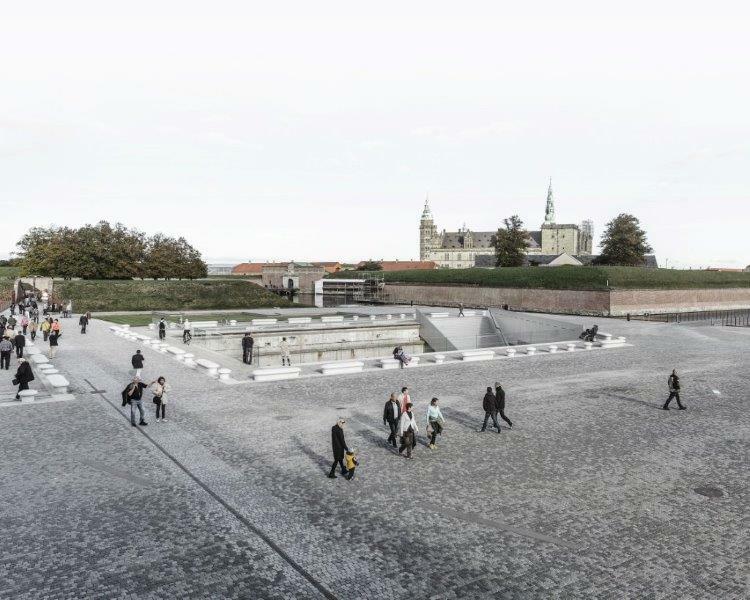 It is the last addition to Kulturhavn Kronborg, a joint effort involving the renovation of the Castle and two new buildings – offering a variety of culture experiences to residents and visitors to Helsingør. 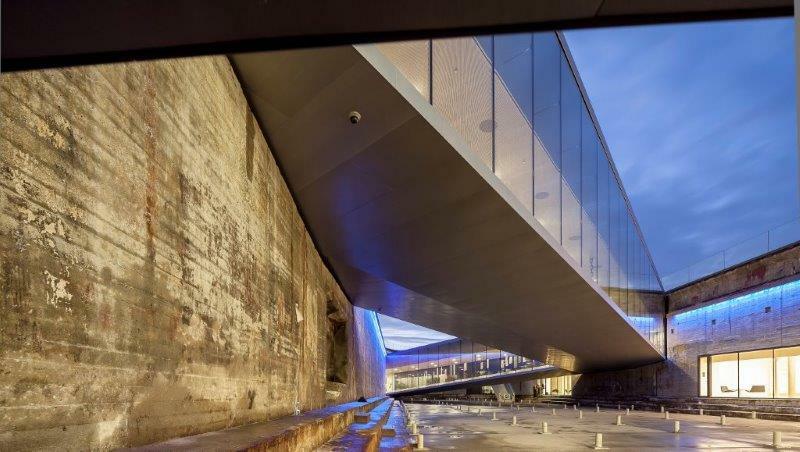 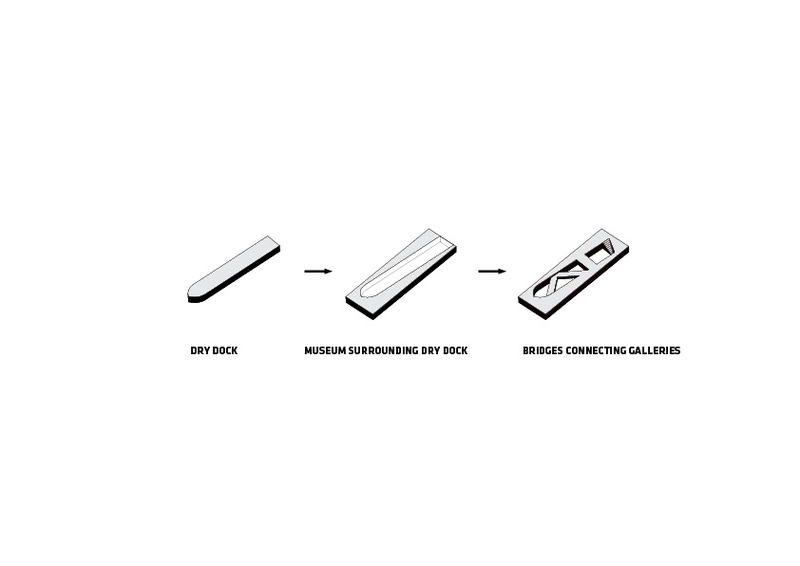 A series of three double-level bridges span the dry dock, serving both as an urban connection, as well as providing visitors with short-cuts to different sections of the museum. 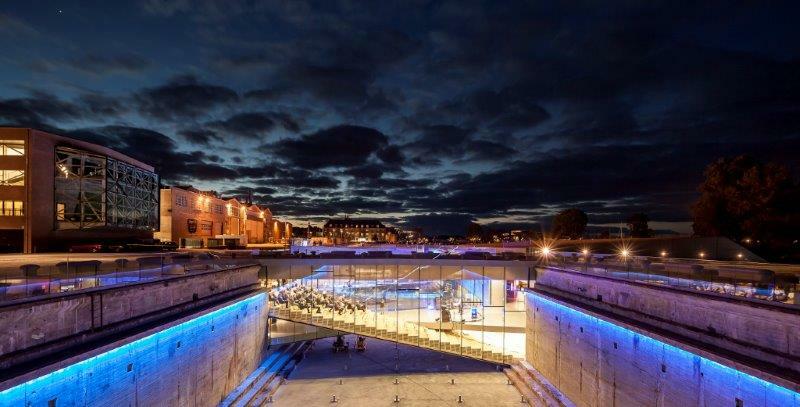 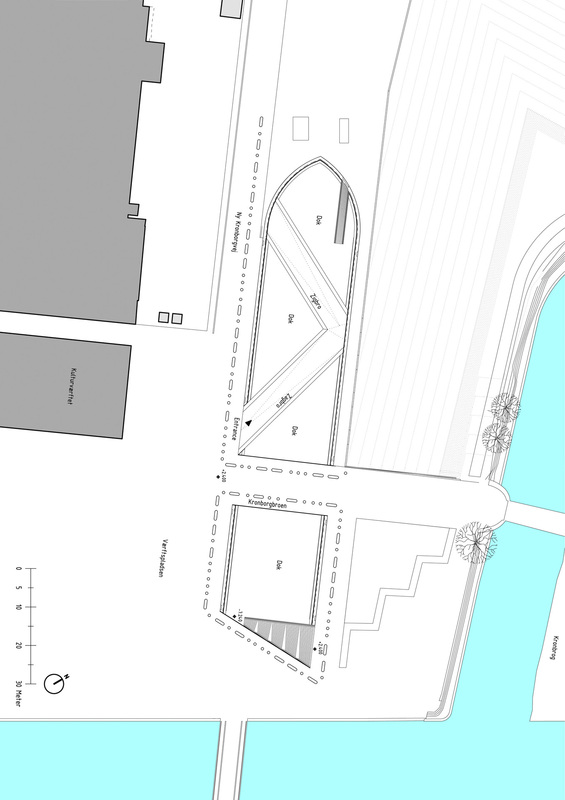 The harbor bridge closes off the dock while serving as harbor promenade; the museum’s auditorium serves as a bridge connecting the adjacent Culture Yard with the Kronborg Castle; and the sloping zig-zag bridge navigates visitors to the main entrance. 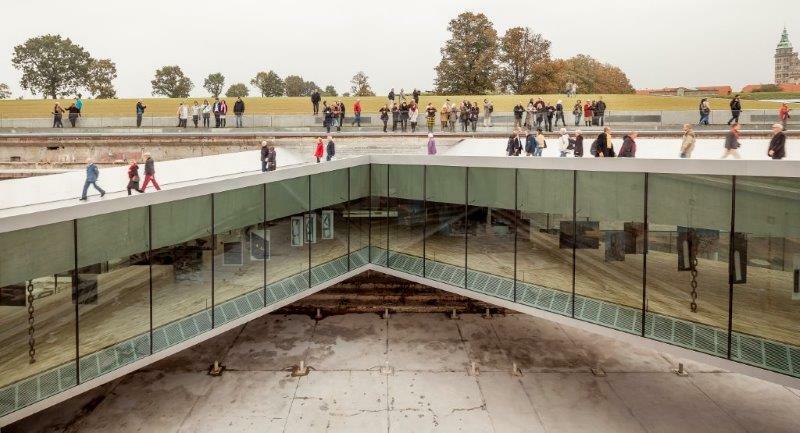 This bridge unites the old and new as the visitors descend into the museum space overlooking the majestic surroundings above and below ground. 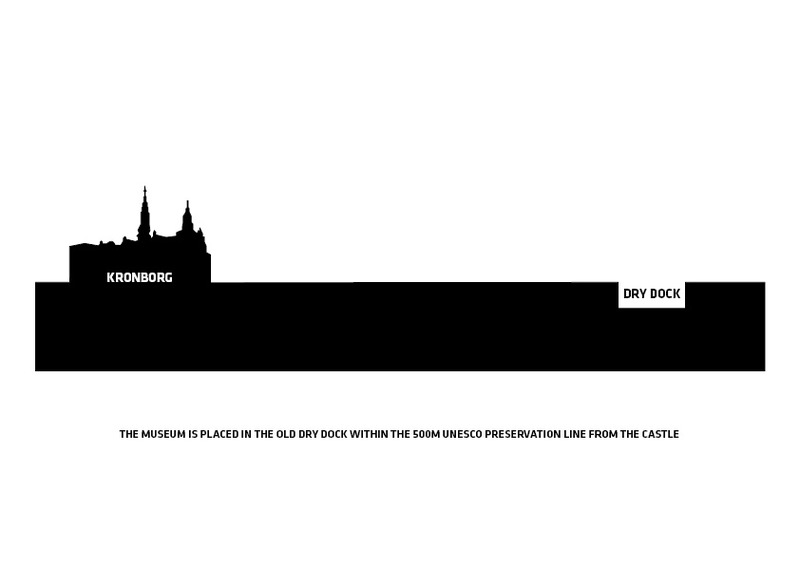 The long and noble history of the Danish Maritime unfolds in a continuous motion within and around the dock, 7 meters (23 ft.) below the ground. 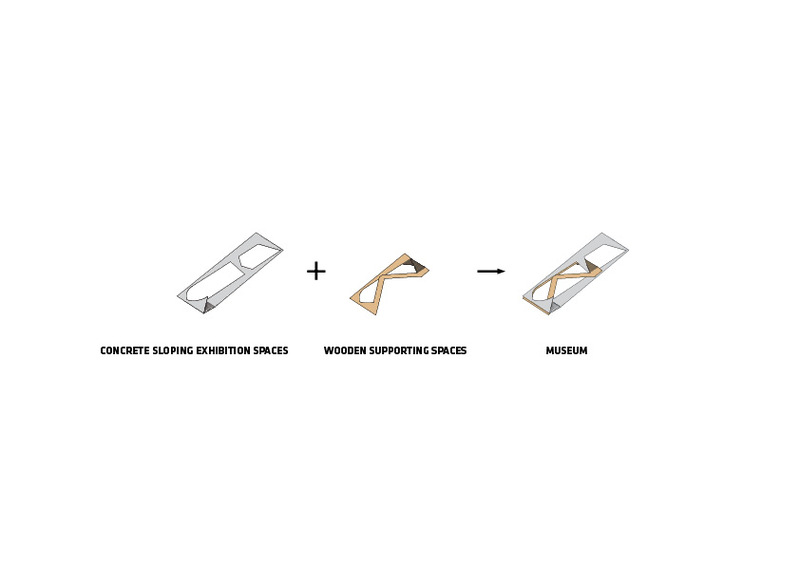 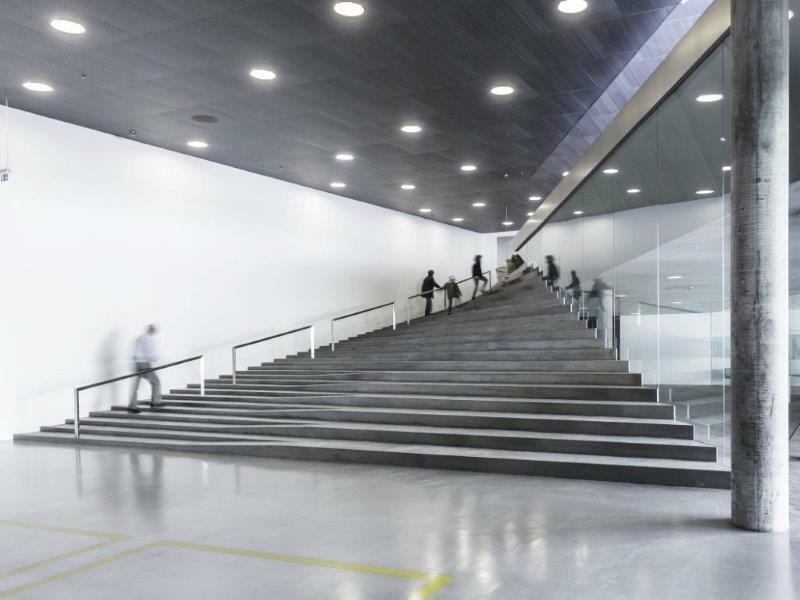 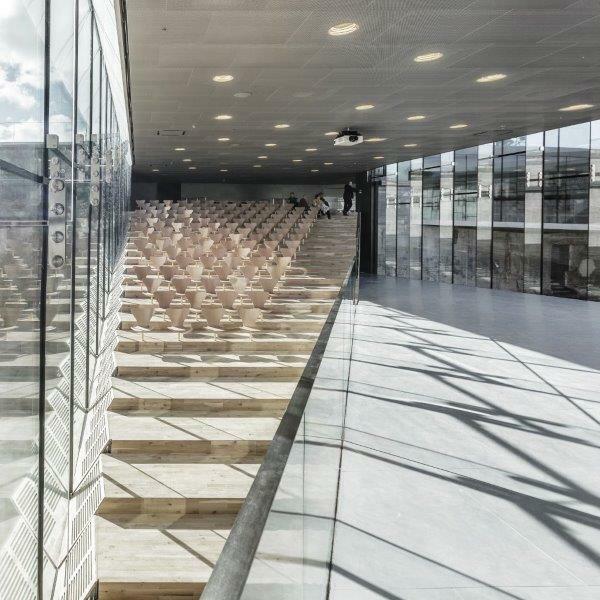 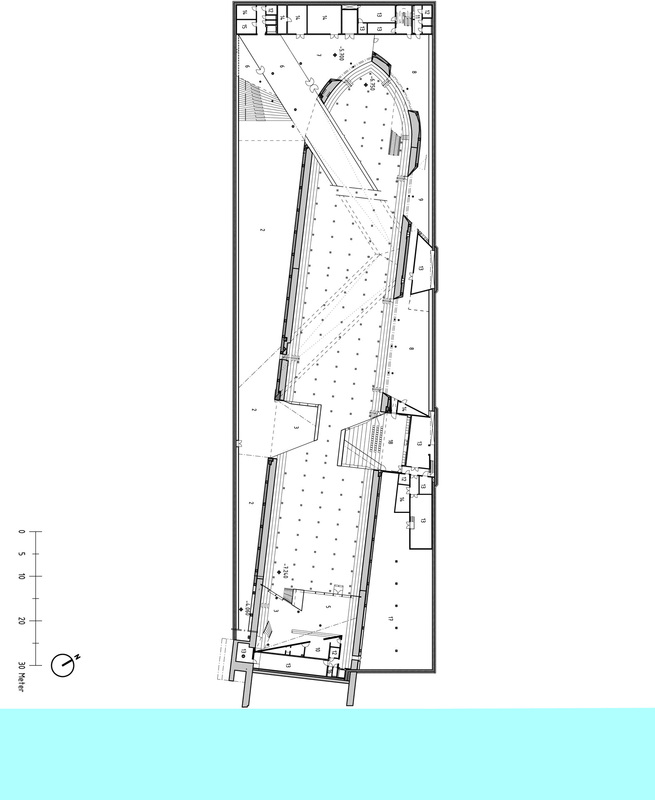 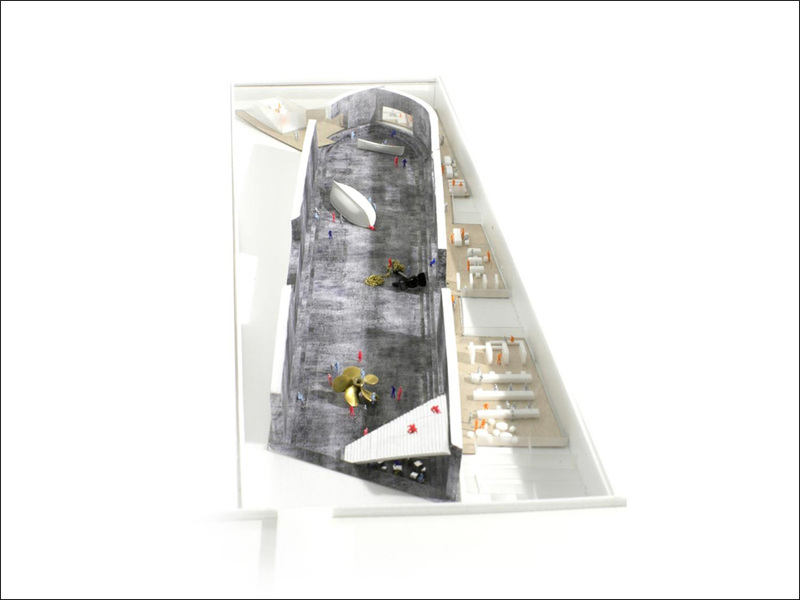 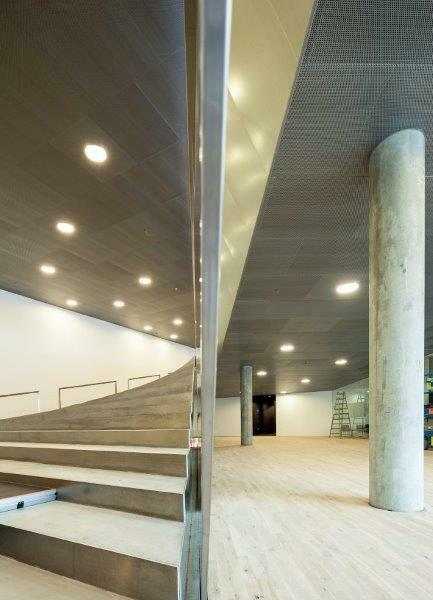 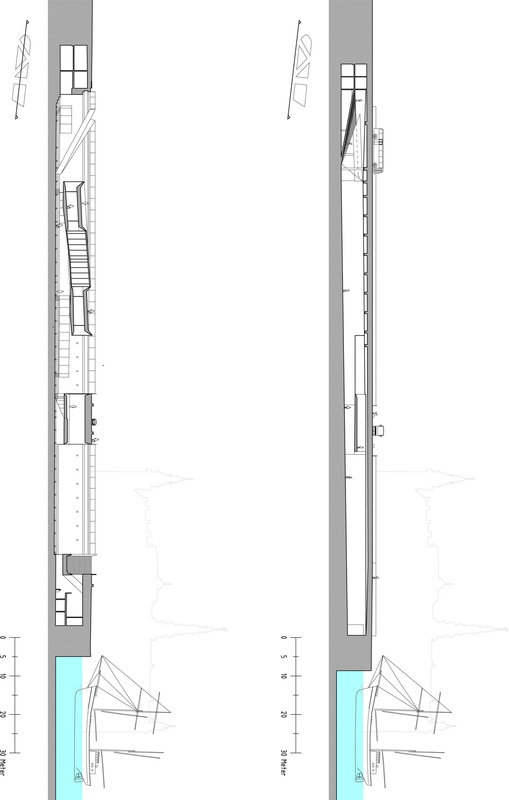 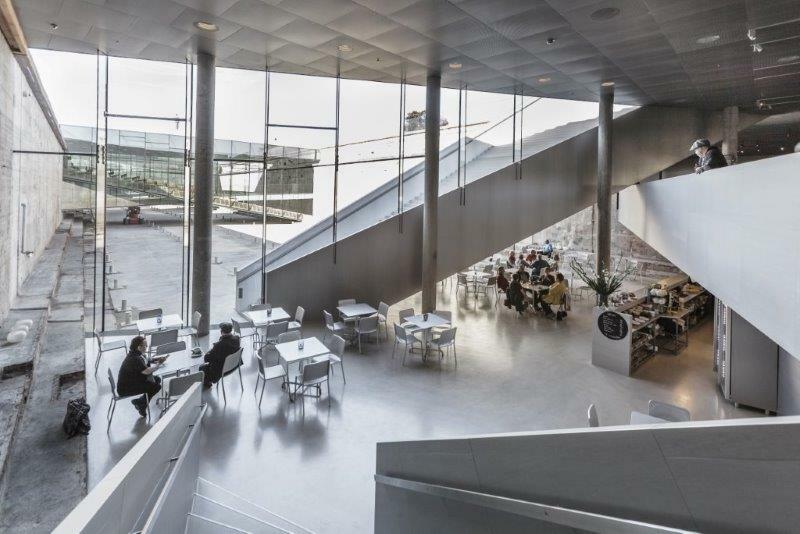 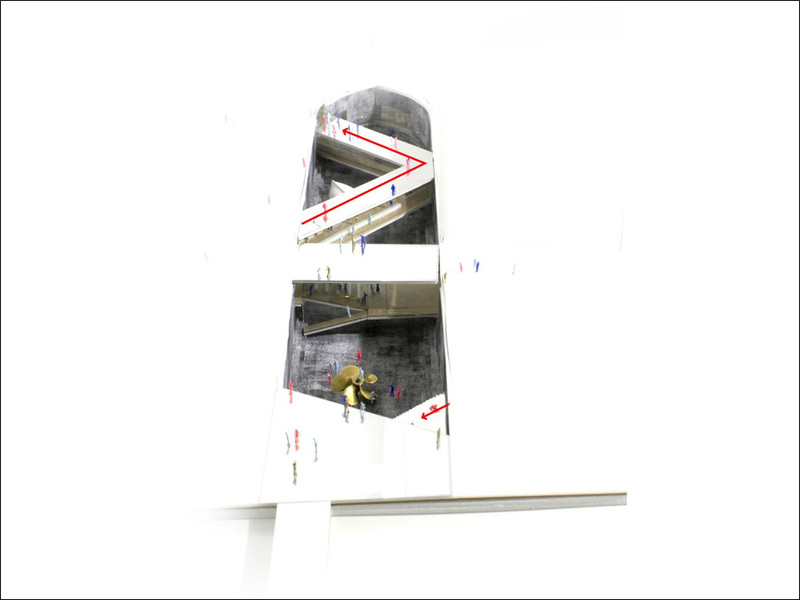 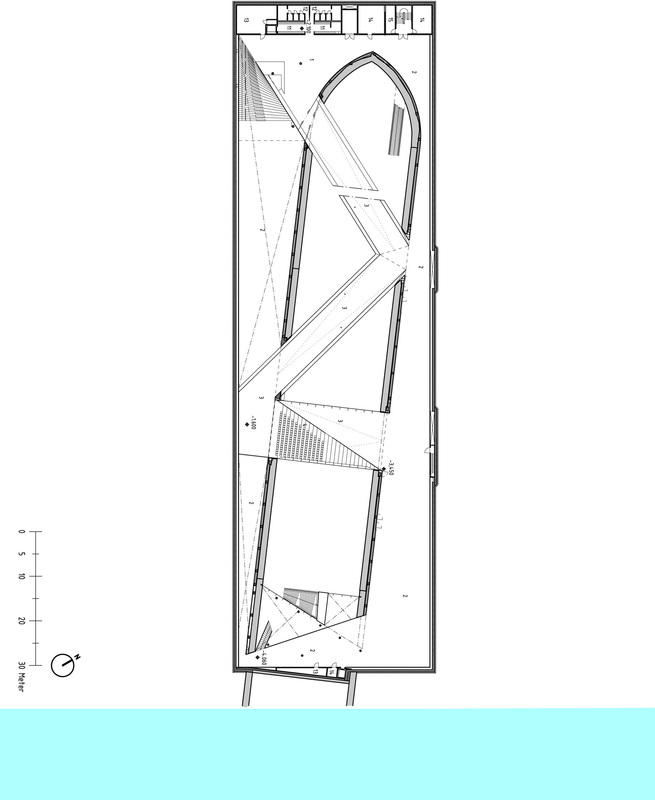 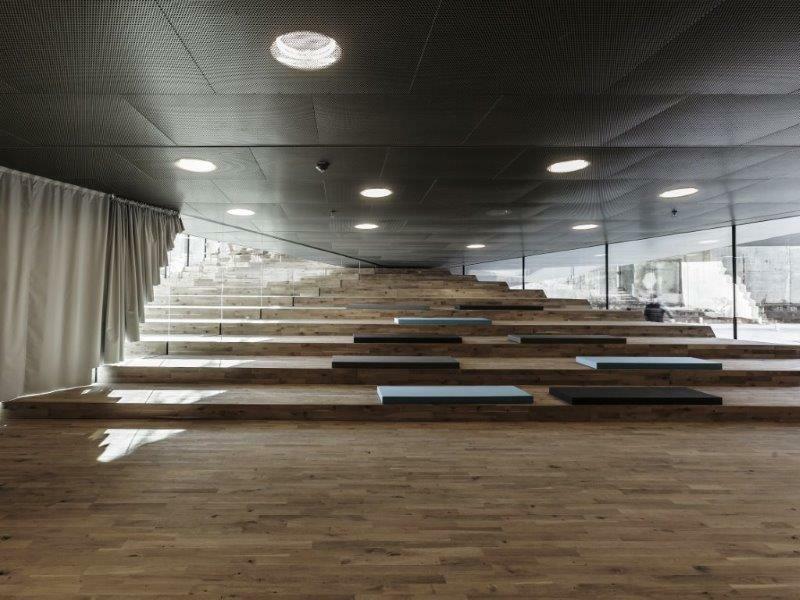 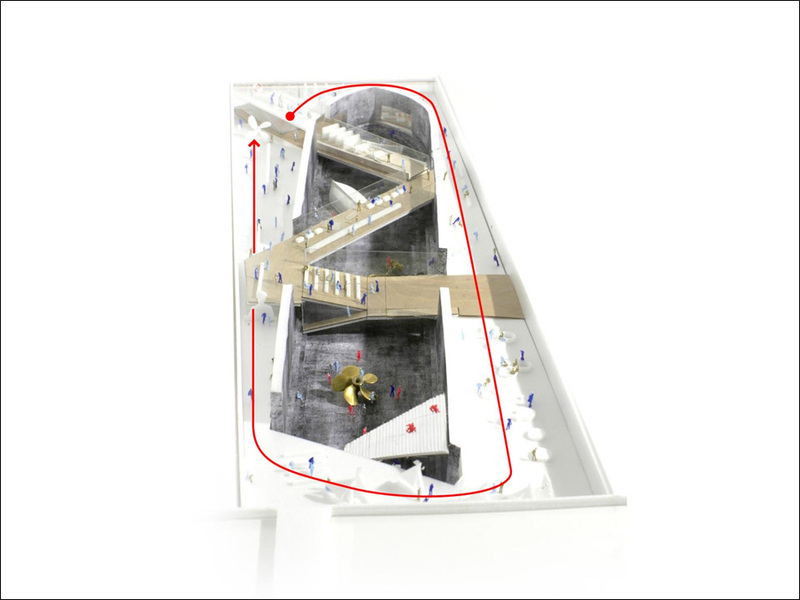 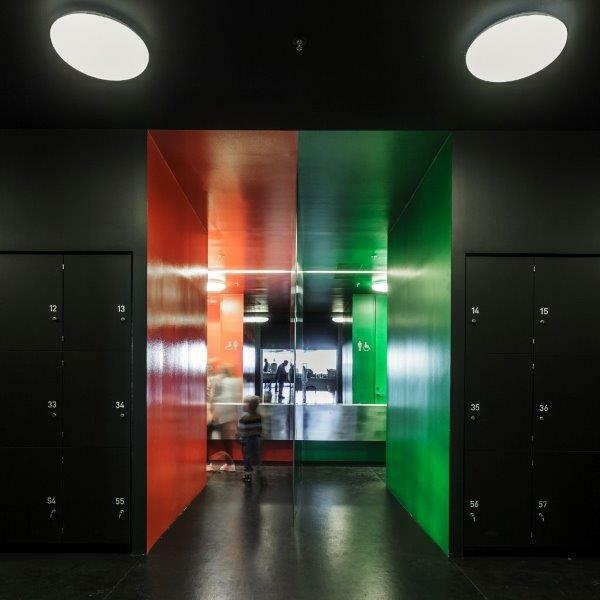 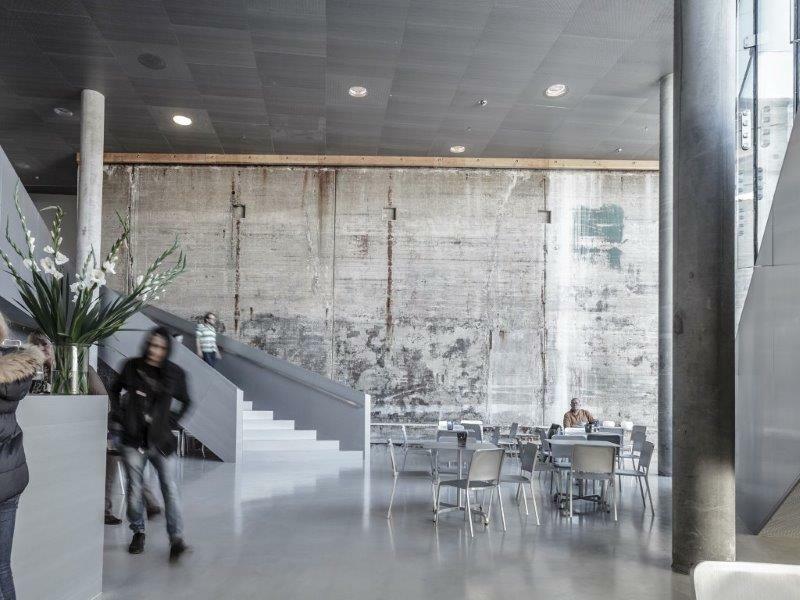 All floors – connecting exhibition spaces with the auditorium, classroom, offices, café and the dock floor within the museum – slope gently creating exciting and sculptural spaces.